Several SPPS educators were recently recognized with statewide honors. Mississippi Creative Arts Principal Be Vang (pictured above) has earned the Division Leadership Award from the Saint Paul Division of Minnesota Elementary School Principals Association for 2019. The award expresses appreciation to the many outstanding individuals in the principalship who have contributed generously to improving education, their communities and their profession. Washington Technology Magnet Principal Dr. Mike McCollor was named Minnesota Principal of the Year by the Minnesota Association of Secondary School Principals. 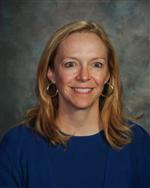 Jane Law, a French Teacher at Harding High School, is Minnesota’s French Teacher of the year. Madame Law, who has taught in SPPS for more than 25 years, will be honored by the American Association of Teachers of French in March. Twelve SPPS teachers are vying for Minnesota Teacher of the Year. From social studies to AP economics and elementary to high school, a wide range of SPPS educators are nominated for the 2019 Minnesota Teacher of the Year award. Twelve SPPS teachers are vying for the award, given annually by Education Minnesota, which celebrates the state’s tradition of excellence. Candidates from across Minnesota include teachers from PreK through 12th grade and Adult Basic Education teachers in both public and private schools. This year’s Teacher of the Year will be chosen from a field of 168 candidates. The winner will be announced in May. Over the coming weeks, a panel of community leaders will name semifinalists and finalists.